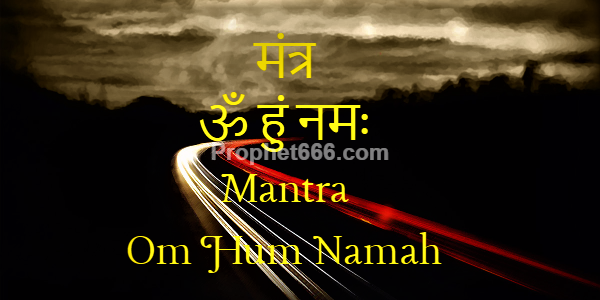 The Mantra, which comprises of just 3 words- Om Hum Namah – ॐ हुं नमः, at first sight will appear to be a common and nondescript Mantra Chant, but it promises the practitioner with a pair of Jadooei Chappal or Magical Slipper, which will enable him to perform the impossible and astonishing feat of flying in the air and walking on water. The Mantra Siddhi Sadhana Prayog appears easy and simple at first sight, but that is far from the truth. The practitioner has to chant the Jadooei Chappal Paneka Mantra 100.000 time daily during the Trisandhyas or the 3 Sandhi Kaal or Meeting Points of 2 Periods of Time of the Day. This is the specific period of the day during sunrise, noon and sunset, which can be ascertained according to the Hindu Panchang or Western Almanac of a specified location. The Tantra does not specify, at what point of each Trisandhya the Mantra Chanting should commence, it could possibly be a fixed period before and after the Sandhi Kaal in which it is possible to chant a little more than 33,000 Mantra Chants so as to complete the total 100,000 Mantra Chants for day during the 3 Sandhi Kaal of each day. The Tantra also does not specify for how many days the Mantra Chanting should continue, which probably means until you get the Magical Slippers and the supernatural power to fly in the air and walk on water. It is also not specified how the Magical will appear or who will give it to the practitioner. The is a standalone Mantra Experiment, in which, the practitioner has to concentrate only on the Mantra and nothing else, There is no other ritual, rules or form of worship is prescribed. Any preferred counting rosary can be used to count the number of Mantra Chants. Note- Hindu religious scriptures contain numerous instances of such Siddhis being gained by Sadhus, Yogis and other practitioners of Mantra Vidya. There are also some reports of some Sadhus and Yogis being is possession of such supernatural powers. Some post on the same topic, which were published earlier on this site can be seen below. Has anyone been successful yet? sir can we chant these mantra as per a specific number per day till the desire last one?